Justifications for the change of model supporting national reading instruction in England reveal the influence of international ‘Reading Wars’ divisions. Replacement of the ‘Searchlights’ diagram by an illustration of the ‘Simple View of Reading’ (SVR) generated an opportunity for the implementation of stable policy and balanced reading instruction in a conflicted environment. However, a one-dimensional emphasis in government policy since that time has not taken full advantage of the SVR’s two-dimensional conceptualisation of reading. Measures taken to reinforce national systematic synthetic phonics instruction have ensured that effective instruction is directed to the ‘word recognition processes’ dimension of the SVR, but equal emphasis on measures supporting the development of the ‘language comprehension processes’ dimension is not so evident. This inequality risks the successful achievement of the SVR ‘reading product’ that results from the integration of both knowledge-rich dimensions that the diagram illustrates. A revised version, The Simple View of Meaningful Reading (SVMR), is therefore argued and presented in this paper. 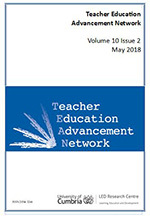 This aims to not only clarify and re-illustrate the significance of instructional interactions that incorporate both SVR dimensions in achieving meaningful reading outcomes, but also to afford an instrument for the professional development of teachers that further supports their agency in the alignment of effective reading policy and pedagogy.